It happens to everyone eventually. You or one of your family members gets sick with the flu, a cold, or some other creepin’ crud, and before you know it, it seems like there are germs are everywhere, and everyone is sick. You swear that you won’t let that happen next time, but it does. When it comes to the flu or other illness, this is definitely one gift no one wants to give or get, but how can you stop it from happening? You can greatly cut down on the chances of spreading germs by disinfecting your home after someone has been sick. Viruses, such as influenza, rhinovirus, and SARS can survive on surfaces for hours, according to a 2008 study in the Emerging Infectious Disease Journal. 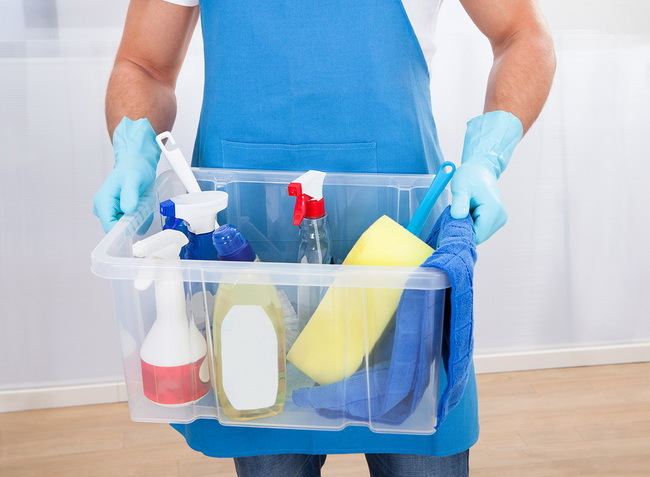 Disinfecting your home after an illness can greatly help stop the germs from spreading or re-infecting family members. Keep reading and find out what steps you should take to stop germs before they decide to take over your home this winter. There is nothing germs like better than nice warm (sometimes wet) bedclothes, pajamas, sheets, and towels. These items can actually allow germs to live for weeks, which is not good news for the people who live there. At least four percent of the clothing worn by nurses in a children’s intensive care unit had detectable levels of a virus known to cause respiratory infections. More than 68 percent of hospital privacy curtains contained viruses. How can you stop germs and viruses from making your textiles their home? Soak everything in an oxygen bleach solution for at least several hours. 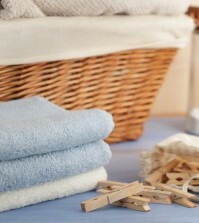 Then wash them using the hottest water that the fabric can withstand without getting damaged. Then put them in the dryer using the hottest setting possible (without damaging your clothes), or put them outside to dry in direct sunlight.